So it’s finally happening…the big move! We are picking up our (heavy) suitcases and beginning our newest adventure – living abroad! This will be our first trip to Europe and our longest time away from Home. It has been a bit of a rushed decision but when the time is right…you just have to go with the flow! Leaving Next Tuesday, we will be stopping over in Dubai for 2 days (also a place we have never been!). Then, on Thursday, we will be travelling even further away from home, and landing in LONDON! We’re planning on spending about 10 days, finalising our Visa (we have a UK working visa) and catching up with some friends who have already made the journey over. 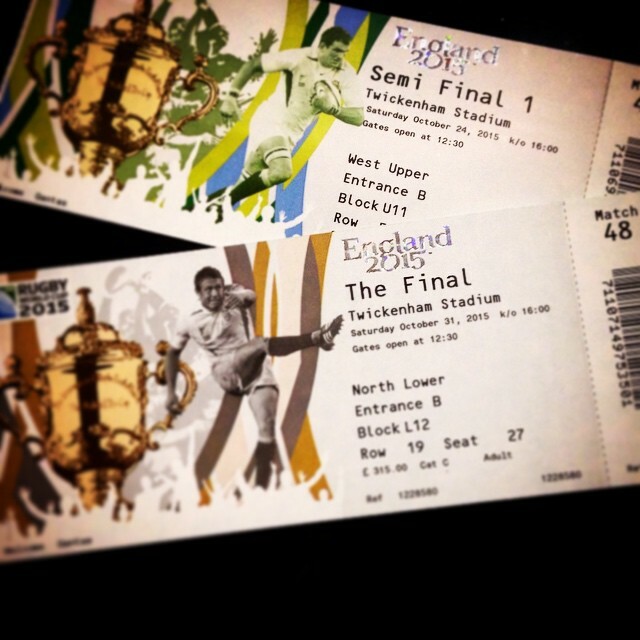 Also, we will be in the crowd for the Rugby World Cup Semi Final and GRAND FINAL! An amazing start to our year abroad! We want to travel all over Europe and explore the culture that that side of the world has to offer. After spending so many hours sorting out and prepping for the trip – I am finally beginning to get excited! I have had such a hectic few weeks and with almost no sleep – I am definitely ready to relax for a few weeks!!! Does anyone have any recommendations on where to go? We haven’t got much set in stone and are always excited to hear about new incredible places to see and explore! Be prepared for lots of posts of amazing places, food and people…This girl is going to be on holiday mode in….6 days and 9 hours!